If you want to engage in outdoor activities, you must understand a very important concept. That is, Mother Nature is unforgiving. She doesn’t give a damn about what happens to you. In the outdoors, nothing is as easy as it seems. Believe it or not, that includes walking on concrete or dirt roads! 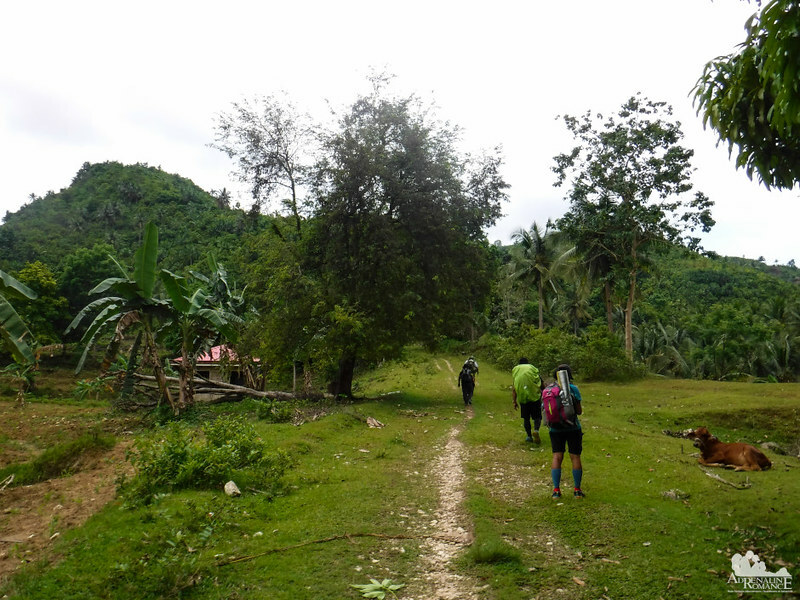 That was what we had to contend with during our trek on Segment 2 of the Cebu Highlands Trail. For this trek, our adventurer friends Halourd and Apol decided to join us. Shortly after 7 AM, we arrived at Lutopan where we ended our CHT Segment 1B trek several weeks ago. After rearranging our backpacks and enjoying a heavy carbo-loaded breakfast, we started our CHT Segment 2 trek. Around 70 percent of the morning’s trek was exquisite torture on the foot because we were walking on hard concrete. Walking on asphalted or concrete roads is probably our worst nightmare in any of our treks. But with stunning scenery like the one in the photo below, we didn’t really mind the nagging throb in our soles. 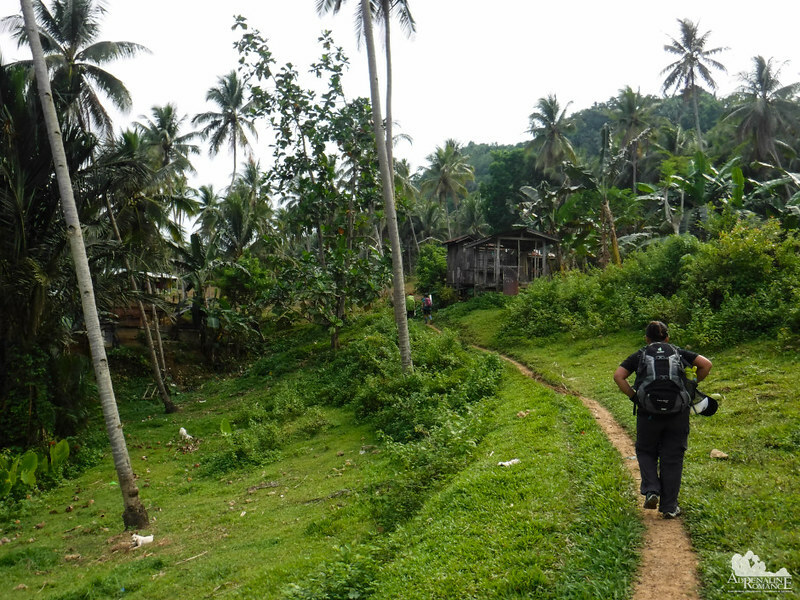 We walked along expansive green rice farms and healthy coconut groves of Barangay Bunga. 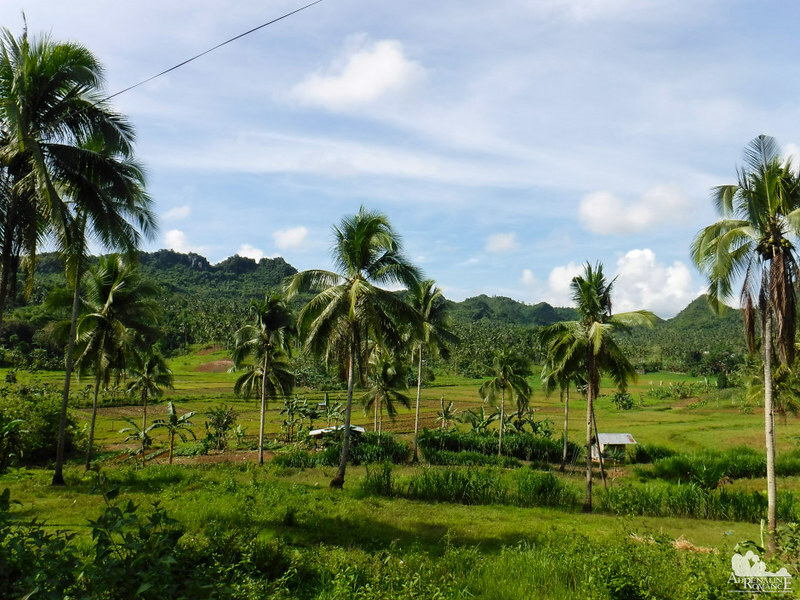 The presence of these farms shows that despite the province’s modernity, a lot of places in the island are still agricultural in nature. For centuries, farming has been a major source of livelihood in Cebu. 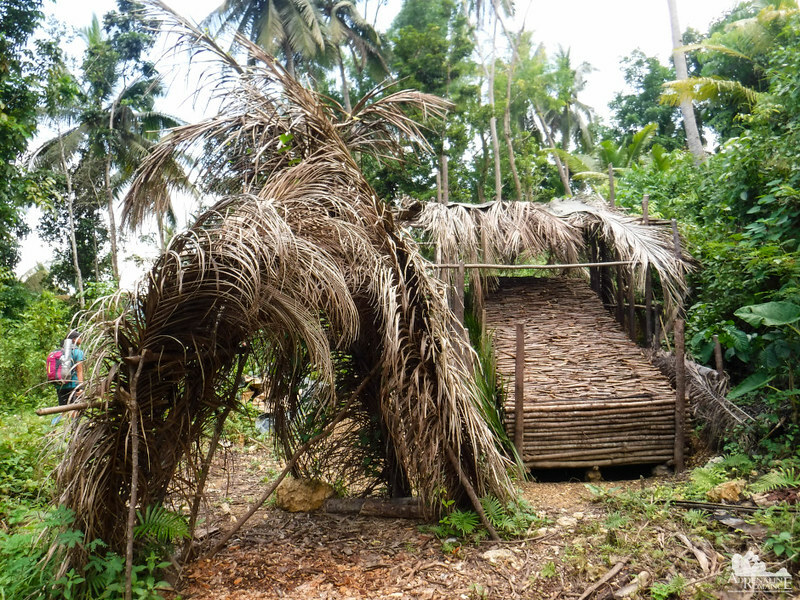 Have you ever wondered why a manananggut (a farmer who grows and harvests coconut) wraps thick metal sheets around the trunks of coconut trees? Well, the manananggut often leaves a sugong (a bamboo container) fastened on a daol (a cut coconut stalk) to collect the sap that drips from the stalk. The sap is processed as tuba, our version of palm wine. Unfortunately, rats favor that same sweet sap. The hairy critters would climb up the tree, chew on the sugong, and ruin the entire harvest. Fastening metal plates around the trunk prevents the rats from reaching the palm; they can’t dig their claws through metal. 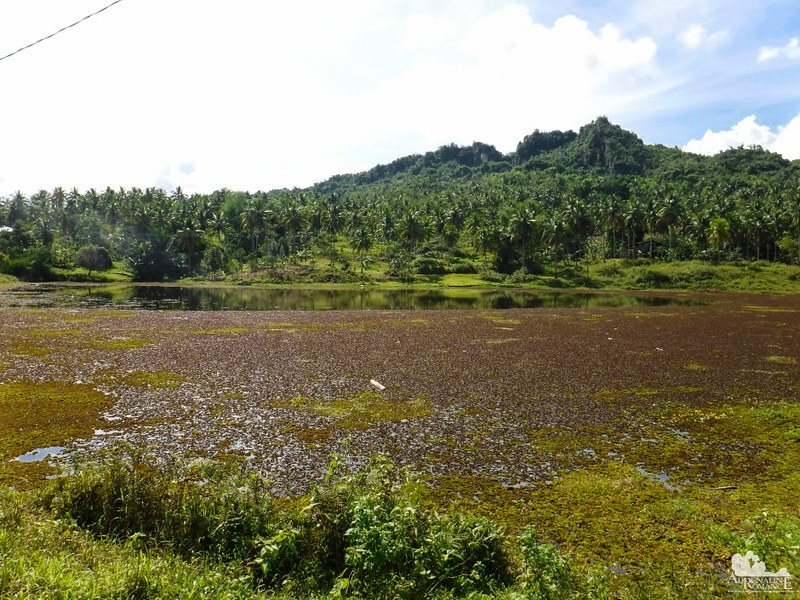 Farther down the road, we saw this dried-up natural lake, one of the hidden wonders of Cebu. During rainy days, this lake fills up with rainwater and expands to twice or thrice its present size. Sir Jing said that this lake is the remnant of an ancient, much larger lake that once dominated this valley. The road to Lamac is an exact definition of a long and winding road. The concrete surface radiated heat, and combined with the burning sun and our sore and tired feet, the walk was definitely a real physical ordeal. Our remedy for the exhaustion and discomfort? Chatting and laughing together, learning from Sir Jing’s lessons of history and culture, and appreciating the beautiful scenes around us. 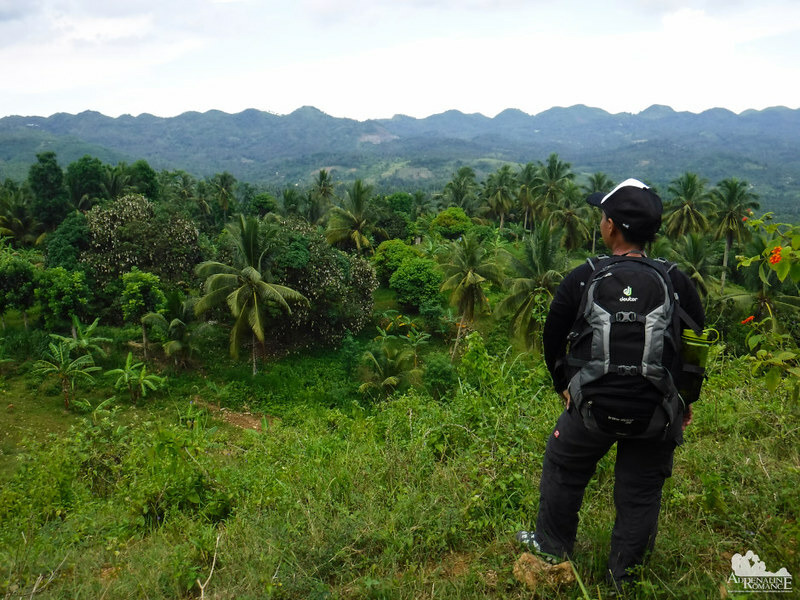 Right in front of us is the expansive plain that houses the barangays of Lamac and Bulongan of the municipality of Pinamungajan. We can see farms as far as our eyes can see. Sir Jing said these farms constitute a large part of Cebu’s agricultural base. Corn, rice, and coconut are the main products here. For locals, Lamac may be an “ordinary” place, a far cry from the busy and glittering metropolis. But for us, it’s something special. 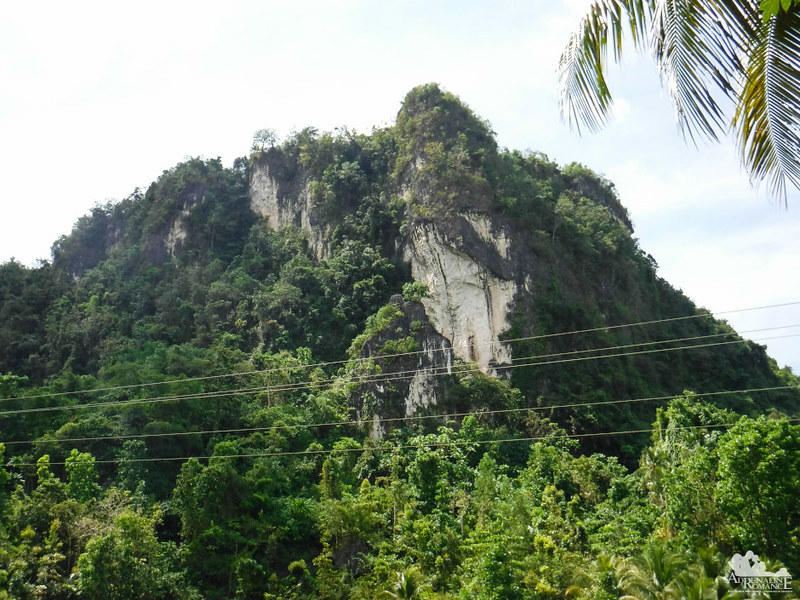 It’s a unique place of towering karst formations, limestone cliffs that have been carved by erosion for millions of years. Sir Jing nicknamed this mammoth rock formation as “King Kong Rock” as it vaguely resembles a hunched King Kong looking over the village. Assuming the quality of the limestone is good, it’s an ideal venue for a future sport climbing crag. The cliff is near the road, very accessible, and close to civilization. We reached the town center of Lamac and had a short break. 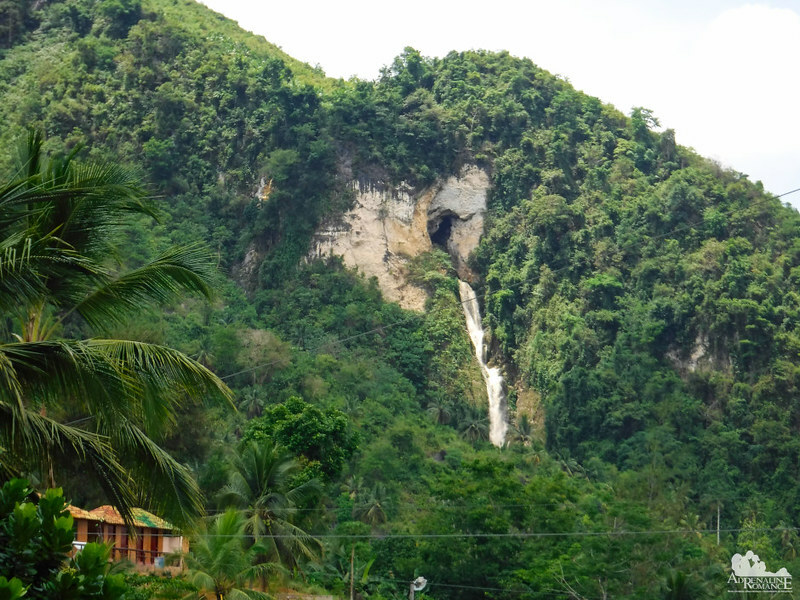 Overlooking the town is Udlom Falls, a prominent natural feature of Lamac. The cool water from Udlom Falls flows from a massive cavern at the side of the cliff. During summer season when natural reservoirs and watersheds are devoid of water, the waterfall dries up. Unfortunately, the CHT does not pass through Udlom Falls, so we weren’t able to see the waterfall up close. Furthermore, this beautiful view from the town is interrupted by a garish mountain resort constructed in front of the waterfall. More karst formations appear as we continued down the trail. It’s as if we are surrounded—and protected—by sheer walls of rock and trees. Copra is still a major product in these areas. 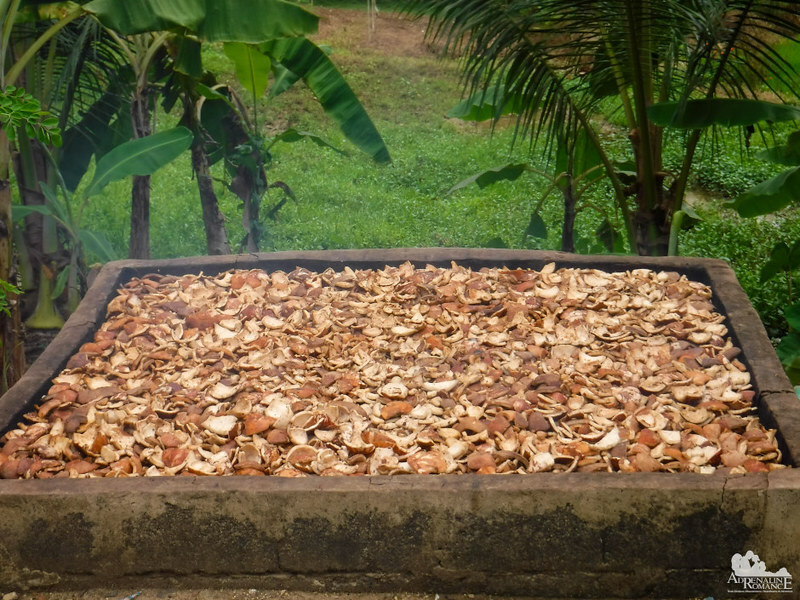 Copra is made by drying coconut meat. 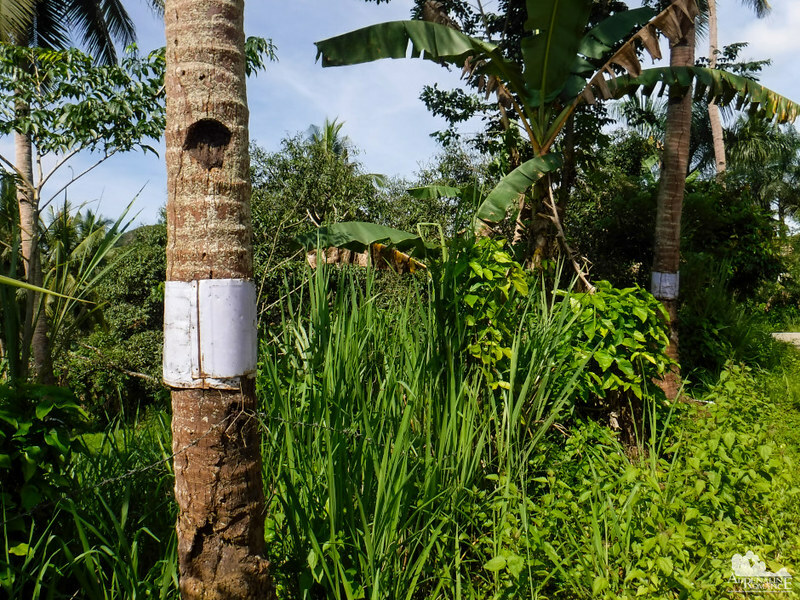 The oil, which is extracted from the resulting copra, has many uses—coconut oil, a component in shampoo and soap, biodiesel, machine lubricant, and more. The dried copra meal is used as feed for livestock. After several hours of walking, we finally came across an off-road trail that goes up a mountain. It was a refreshing break from all that torturing concrete road; our feet can finally take a rest of all that hard pounding. The air became fresher and cooler, and the loud moos of cows that we passed by became music. The venue for our lunch rests on the other side of that mountain, but our hunger was becoming more ravenous every minute. Good thing that we found a sambag (tamarind) tree along the way. 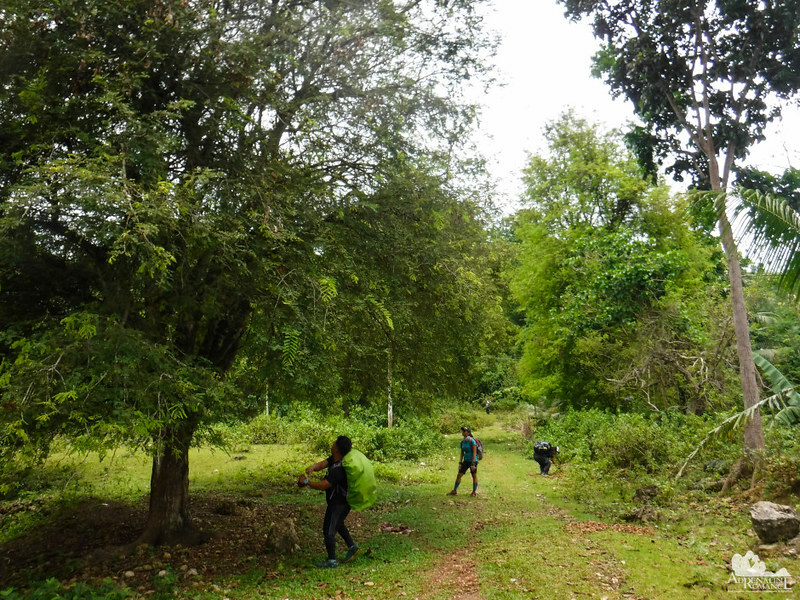 With no one around, we threw a few rocks to knock off some ripe tamarind from their branches. Hahaha! Tamarinds are fruits that are both sweet and sour in taste. It is high in vitamin B, tartaric acid, and calcium. The pulp can be eaten raw like what we did. Tamarinds are also processed into candies, jams, and pastes. It is used as a primary souring ingredient in classic sinigang, a Filipino soup. We filled our caps with tamarinds before climbing the mountain right before us. The surface of the trail that hugs the mountain is soft but loose. We had to be careful not to dislodge the loose rocks that dot the trail or they’ll fall on the person below us. Tip: When walking on a trail with loose soil and rocks, make sure you maintain a distance of at least 4 to 5 meters from the person in front of you. In case the person dislodges a rock, you’ll have time to get out of the way from the falling debris. Also, if you accidentally dislodge a rock, yell “rock!” to warn the person following you. We know our lunch venue is near, but the hours of walking on a concrete road took its toll. Although the inclined trail is not steep, we had to stop midway to give our tired and sore feet a rest. We also munched on the tamarinds we took earlier. Cebu Island may look slim and small in any national map. But that is just an illusion. 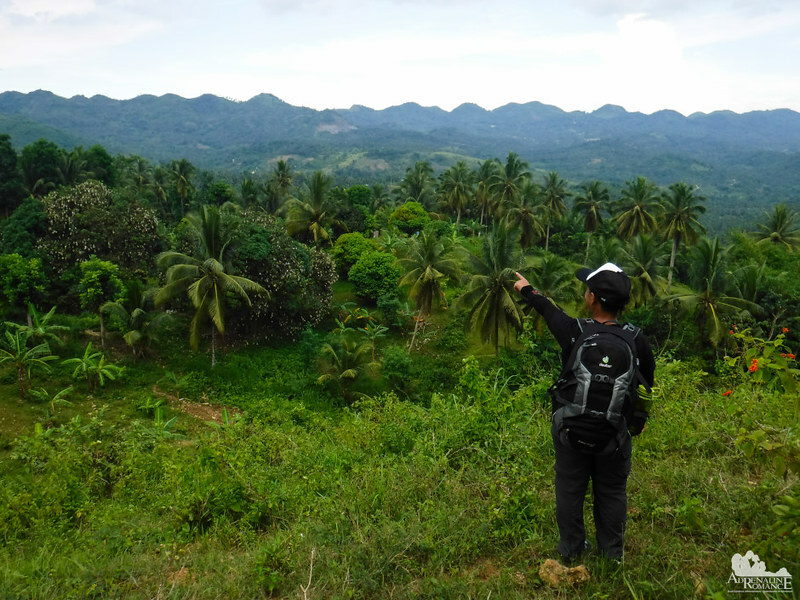 The fact is, the province is so vast that it would probably take half a lifetime to discover enough of its nooks and crannies so that you’ll be able to label yourself a true Cebuano explorer. This is a tiny part of the municipality of Pinamungajan as seen from our vantage. You can’t feel but be amazed at yourself—and your team—that you just came all the way from there! The Carabao Highway, as its name implies, is a dirt road where locals take their carabaos (water buffaloes) to their farms. In fact, we came across carts and sleds like these. 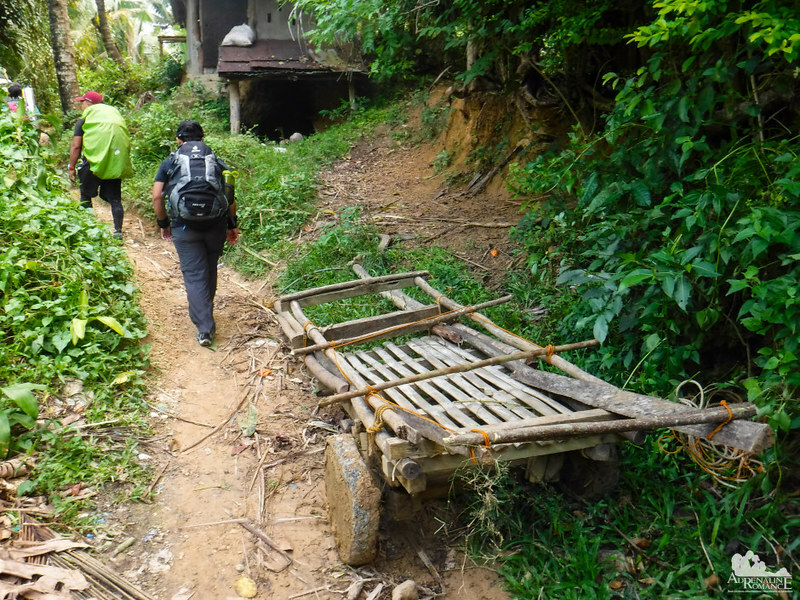 Hauled by carabaos, these sleds are often used to carry farming equipment, produce from the latest harvest, or people. A little farther away, we found this small house. See that small, natural hole underneath the structure? That’s actually a furnace where they cook their food. Amazing what a little bit of ingenuity and resourcefulness can do! We also found dry branches that are neatly stacked in this contraption. They will be used to create charcoal. How? Locals dig a large cavity in the ground where these branches are placed and burned. 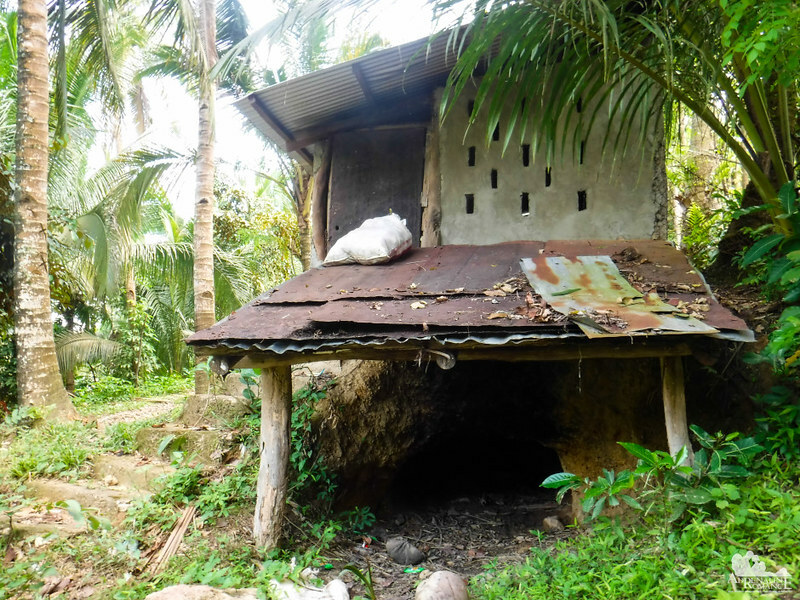 Except for a small “chimney,” the cavity is completely covered with soil and palm leaves to ensure no air enters the hole. The branches burn very slowly for a few days in which they will be transformed into charcoal. During our pre-climb meeting, Sir Jing mentioned that the Carabao Highway, the main feature of Segment 2, is quite scenic. He’s definitely right. We saw vast farmlands, thick woods, grassy hills, and blue mountains as far as we can see. Such is the majesty of Cebu! 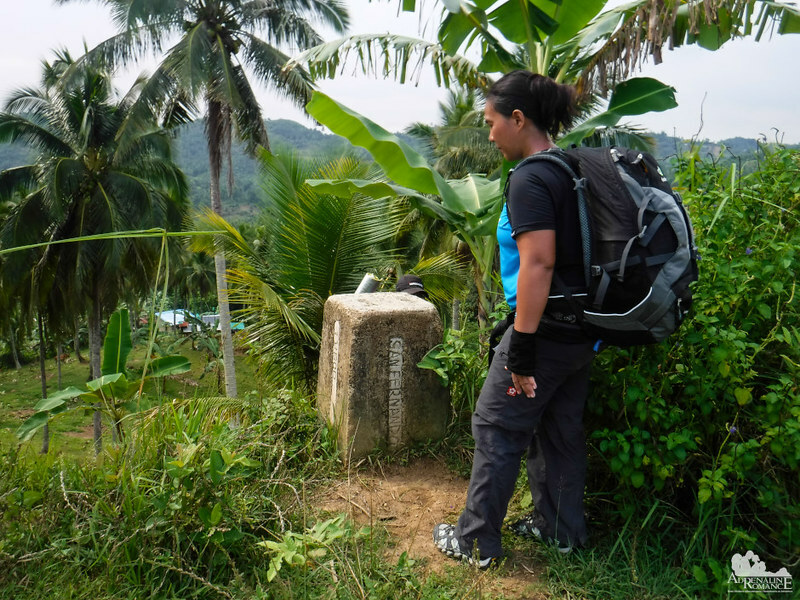 During this trek, Sweetie used her new Deuter Trans Alpine 30 backpack. 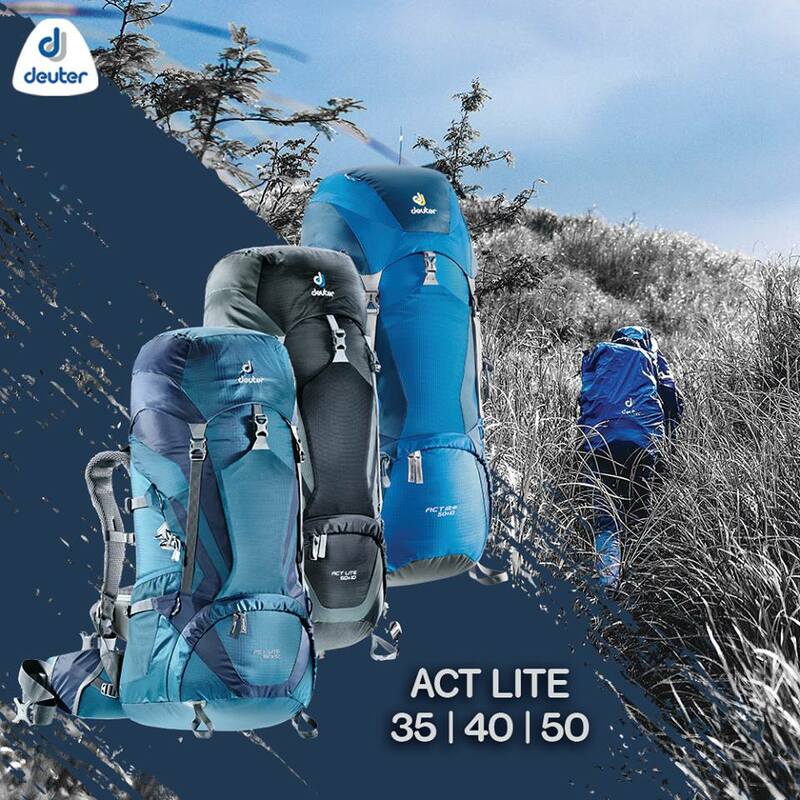 This is a very comfy and versatile pack for trekking, biking, traveling, and more! 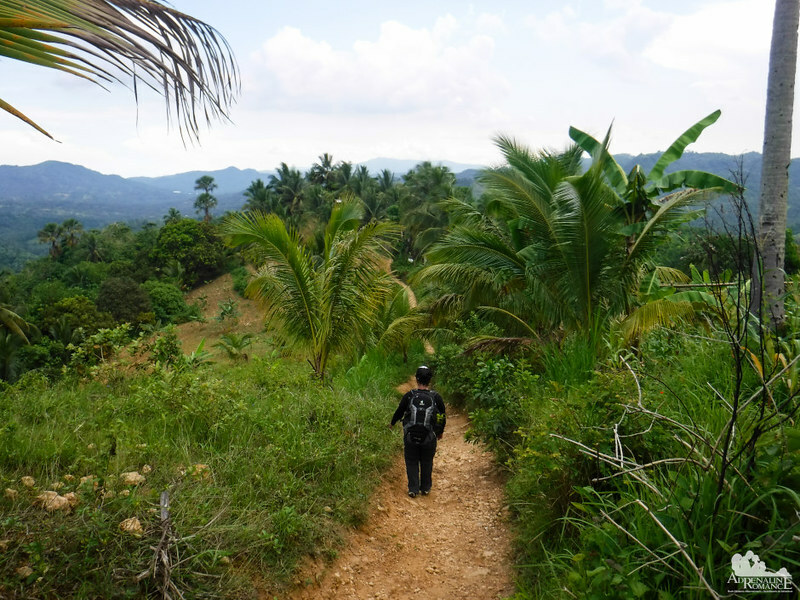 Some local outdoorspeople think the Cebu Highlands Trail is not really special. 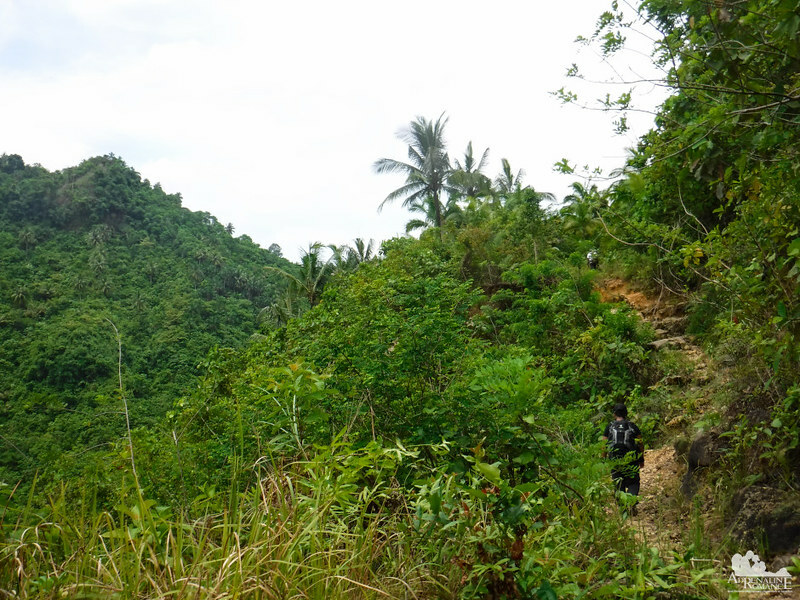 For them, it’s just a long but easy trek since it consists of a network of farming trails and roads interconnected to each other. But we completely digress. The CHT is a masterpiece that has been the fruit of sweat, blood, tears, and ultra hard work for more than 6 years. Navigating through the spiderweb of trails, choosing the right paths, asking permission from officials and elders, planning out the logistics and security details, establishing rest stops and water sources—all these require massive effort and brainpower. Farther down the Carabao Highway, we saw a marker that indicates the boundaries of the municipalities of Pinamungajan and San Fernando. This meant that we have entered San Fernando. That also meant we were near our campsite. Everyone was looking forward to a long rest as we didn’t have enough sleep the night before. Stunning scenery in the afternoon light! Sir Jing said this is one of his favorite sections of the CHT. We can definitely see why. Sometimes, the simple life equates to a beautiful existence. There’s no need to over-complicate things just to be satisfied. 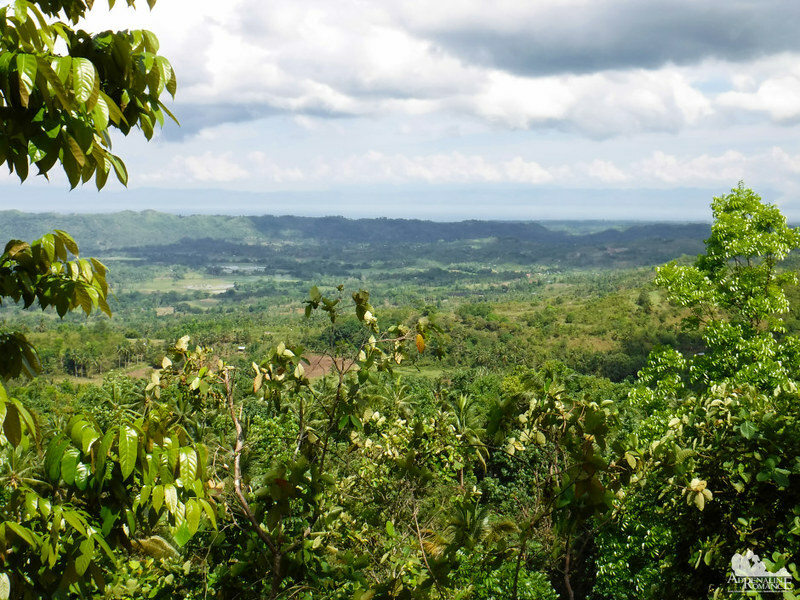 The Carabao Highway stretches for a couple of kilometers of gentle hills, grassy slopes, lush woods, and tranquil farms. As we walked along the trail, we felt renewed and refreshed despite our exhaustion. There is something—spiritual—up here in the mountains. In these solemn trails, ridges, and peaks, you can commune with the deepest recesses of your heart. Finally, we reached the small mountain highland barangay of Tubod. 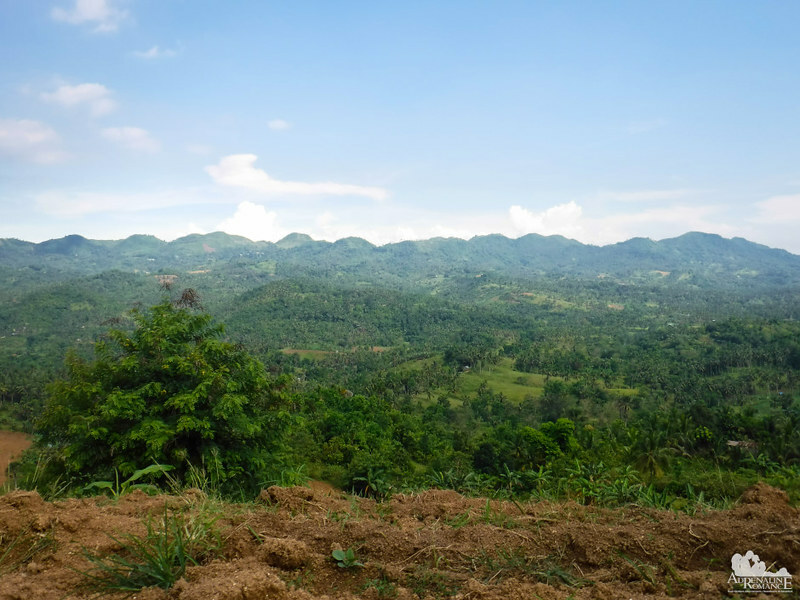 Farming communities like this are mere blips in the geographic, economic, and social map of Cebu. 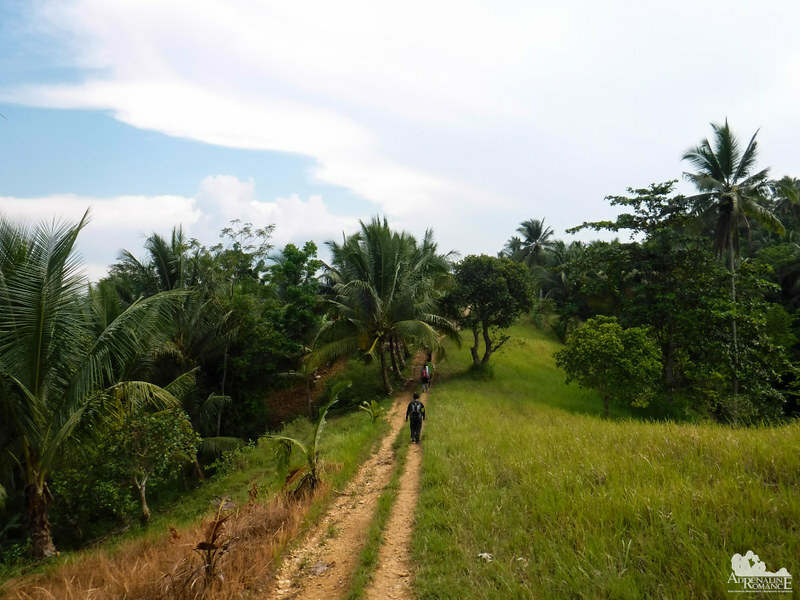 Getting to these villages is difficult; locals and visitors have to trek through miles and miles of trails and dirt roads. Or if they can afford it, they purchase their own personal motorcycles to travel from one place to another. Alternatively, people can hire habal-habals to reach the end points of roads (more like wide dirt paths really) that are barely accessible to vehicles. Due to the distance and difficulty of reaching these villages, fares are absurdly expensive. To save money, locals plan out their logistics and supply runs so they travel to the city only once or twice a week! Whew! That was quite a tiring trek! After almost 8 hours of walking, we finally reached our campsite. We plopped down right at the village’s small public stage, took off our shoes, peeled off our sweat-soaked shirts, and enjoyed the respite. After a short rest, we took out our cook sets, burners, and tents so we can set up our camp. Halourd and Sweetie are born chefs, so Apol and I prepared our camp. 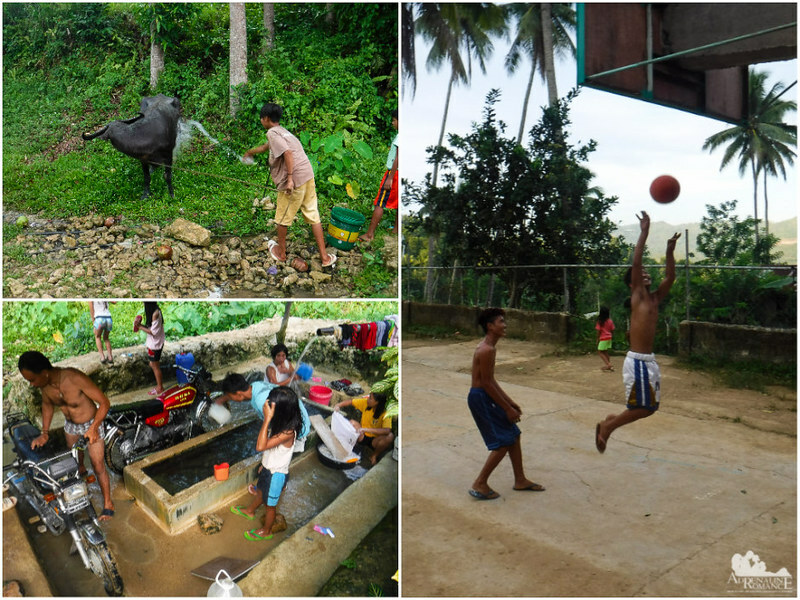 While doing so, I snapped photos of locals doing their everyday things—playing basketball, washing their carabao, and more. What a simple, uncomplicated, and stress-free life out here! One of the nicest things about this campsite is that it’s just in front of a large pasong, or communal water source, fed by a natural spring. Locals come here to fetch drinking water, bathe their carabaos, wash their clothes and motorcycles, and take baths. Naturally, this is a common gossip hole. 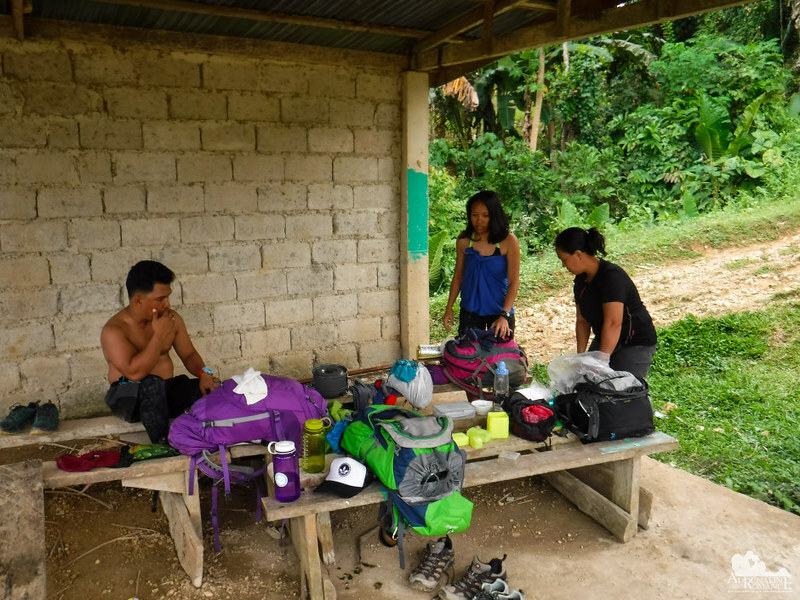 But for us, the best thing about the pasong is that we didn’t have to ration our water supply, which we normally do during treks. With an unlimited flow, we can have all the water we want! So at dusk, when the locals started to leave, we took a very cool, refreshing bath to wash the sweat, grime, and dust away! An excellent trek demands an excellent dinner! We prepared adobong baboy (chunks of pork simmered in a marinade of vinegar, soy sauce, garlic, onion, and peppers), buttered potatoes, and leftover grilled fish. We downed our meal with ice-cold Sparkle that we bought from a nearby store. It was a feast! We were washing our utensils when a nice madame approached us and asked where we’re sleeping that night. When we told her we’re just camping out in a grassy field, she invited us to sleep inside the community chapel. “Floods are common here when it rains,” she warned us. 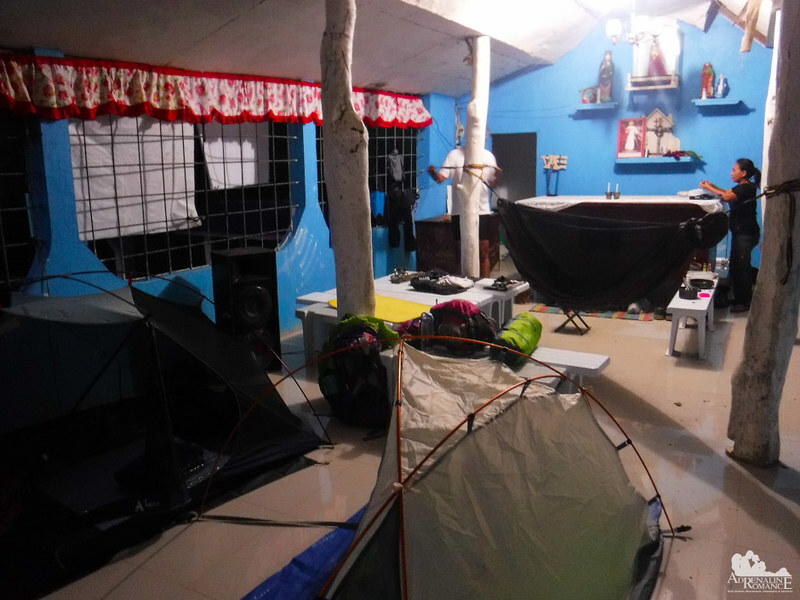 “And in the past few days, it has been raining.” We were hesitant to transfer camp; after all, don’t you think it’s a little sacrilegious to camp inside a chapel? But the lady assured us it’s okay. We transferred our camp inside the chapel where it’s nice, cool, comfortable, and sheltered. Wow! Talk about hospitality! Just like life, the long and winding road of the CHT Segment 2 is not easy to walk on at all! If you want something, you must take the first step and endure the pain. We persevered; and we were rewarded with lovely sights, friendly people, and warm hospitality. Don’t give up, and both Mother Nature and Lady Luck will smile their fortune on you. Part 2 of the CHT Segment 2 is in the next post. Itinerary, budget, and other tips for this segment are included in the next article. That sure was a sore! If I’m not mistaken, we walked on the same concrete road during our spelunking in Bunga, Toledo. That was more or less 7 kilometers to Udlom Falls. And oh, I’m glad someone finally enlightened me of the purpose of those metal sheets that are wrapped around the coconut tree trunks. Haha.. Walking on concrete for 7 kilometers is truly exhausting. Feet hurts like hell! 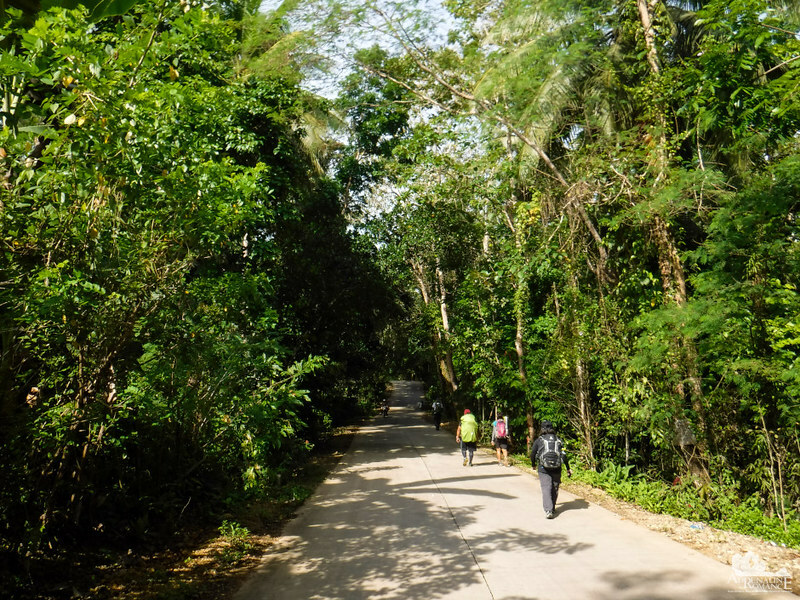 There are several more kilometers of concrete road beyond Udlom Falls before we finally walked on an off-road trail. What a relief! Yey! That’s nice to hear! We’re looking forward to that. What an amazing experience. I’m not a trekker, but even I can appreciate every step you took on the trail. Just curious. Do tourists not drive up on those concrete roads? It looked like there was very little traffic. Thanks! About the road, no, it is not and does not lead to a tourist site. 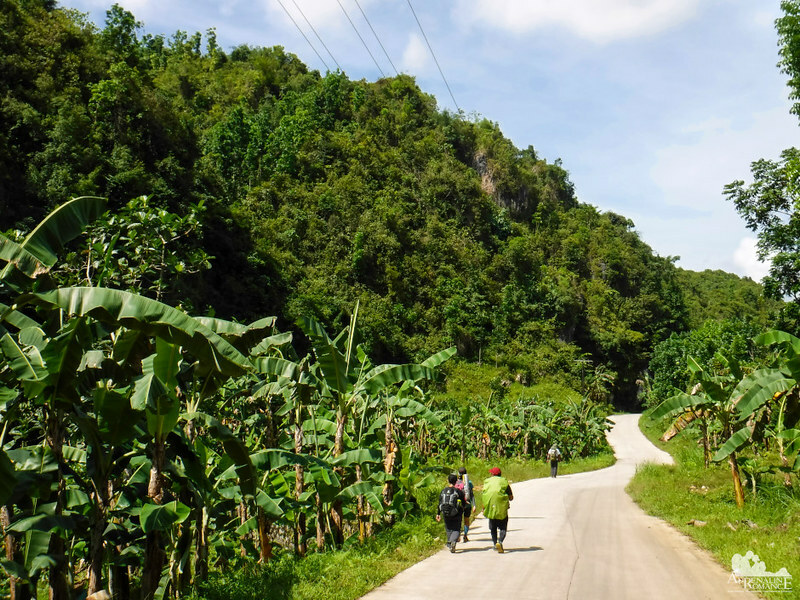 It’s a very long access road used by faraway communities to transport goods to and from the major cities and towns around this part of Cebu. 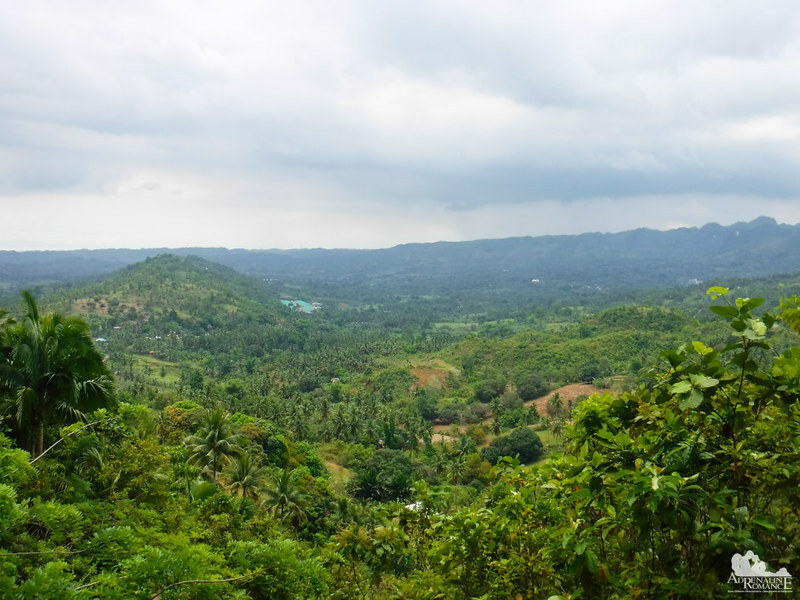 The place covered by this segment is mostly a vast agricultural area of farms and coconut plantations with mountains, jungles, and mountain villages. There are hardly any tourists. What a beautiful region, and stunning vistas! I’m a terrible hiker, but would really like to see those falls, even from afar like you did. I’ve read about Cebu in general, so it’s nice to read more detail about this highland; a truly marvelous place. Indeed! Only a few people aside from the locals have seen these amazing vistas because it’s just so darn hard (well, at least for sedentary people) to travel through these lands. That trail looks really beautiful, I cannot get over how green the landscape is. The dried up lake looks pretty cool too, I can imagine how it must fill up during the rainy season. Cebu is one of the places I plan to visit next year, I’ve already been to Palawan but I need at least a whole week to explore Cebu properly (if not more, that is). Would love to come across such lovely hiking trails when I go! Nice! How’s Palawan? Palawan is one of our favorite destinations. 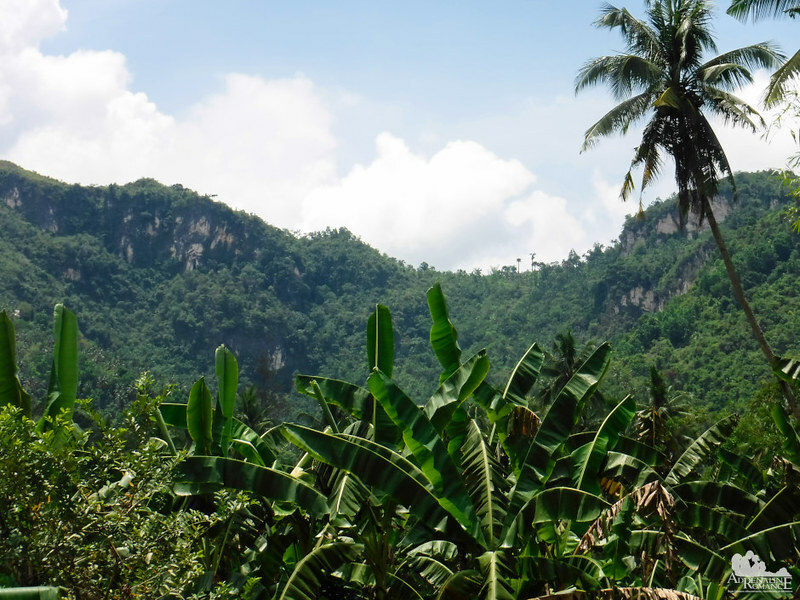 We’ve only been to Puerto Princesa and El Nido; we have yet to visit its southern side. You guys are like me when it comes to hiking, driven by suffering! I’m going to have to look into this hike. It looks spectacular. How long did the entire thing take you? Nice! We should hike together. 🙂 Regarding your question, this segment takes 2 days to complete. 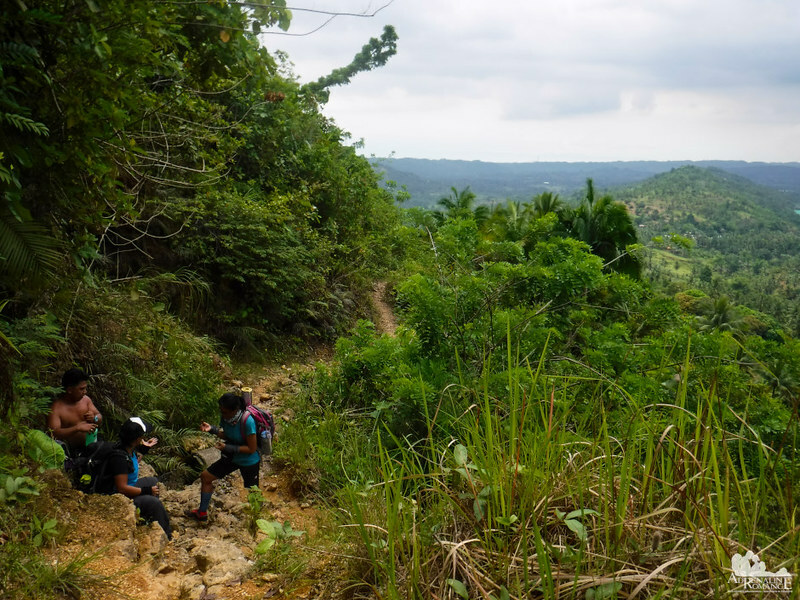 But if you’re talking about the entire Cebu Highlands Trail, that’s around 1 month of walking. That’s more than 400 kilometers. That’s actually our main goal for this year and half of next year. I love how lush and green this hike is! I also love how you wind through local areas and meet the residents. What a fun hiking adventure! My word, what a trek and a workout! Amazing but I bet it’s made easier with the scenery you’re getting to see along the way. Yup, the scenery somehow made it easier. The hike was grueling—it’s always that way when you walk for miles on asphalted/cemented roads. That’s why we prefer walking on real, naked-soil trails. Hehe! Tuba, or palm wine, is sweet when freshly taken from the stalk. It’s naturally carbonated and fermented. After a week or two, it will turn into vinegar. I’ve alwaysssss wondered why there’s metal sheetso n coconut trees and now I know! Bummer that you couldn’t get closer to the Udlom Falls, but I actually enjoy the faraway view portrayed in your photo. The adobong baboy looks to die for too. Be right back, I need to wipe some of this drool of my laptop hahaa. What a fun adventure! Yup, we had to zoom our camera to get that photo. We would have loved to get closer to Udlom Falls. 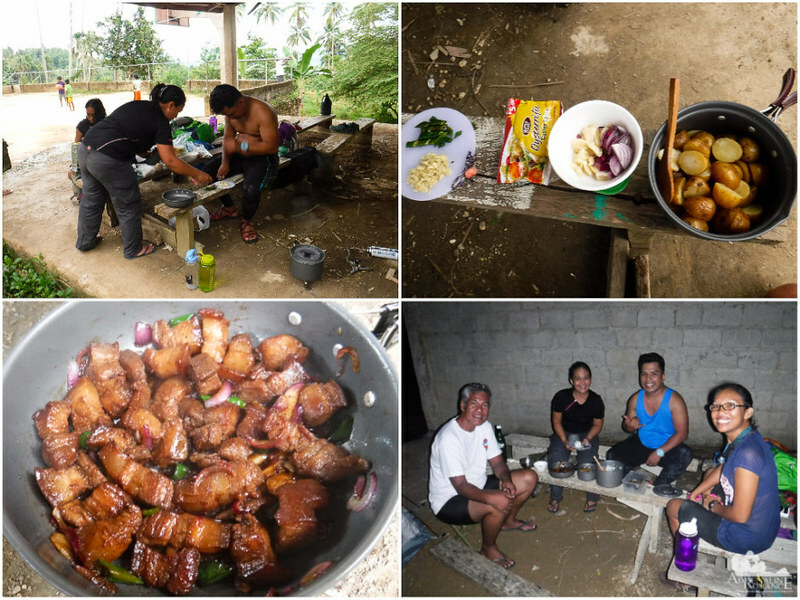 The adobo is our “unofficial” national dish. In fact, it tastes better with age and doesn’t spoil easily. That is due to the soy and vinegar marinade which the meat is simmered in. This looks like a cool hike. Some endless green forest. And the camp inside the chapel looks lovely. Never seen anything like that. What a beautiful hike! That pork dinner at the end is so well deserved! Thank you! The adobo was definitely delicious. Halourd (the other guy) and Sheila are amazing cooks.